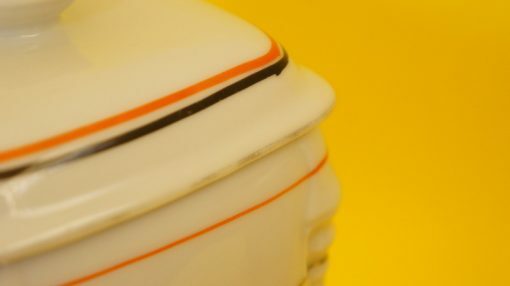 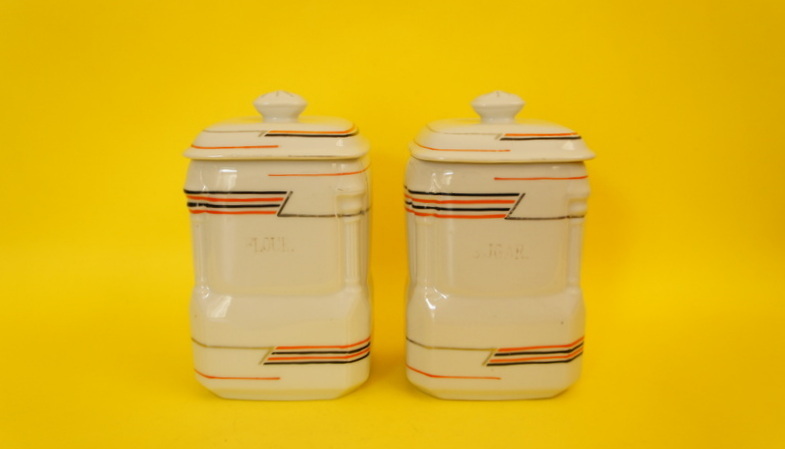 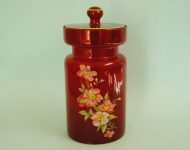 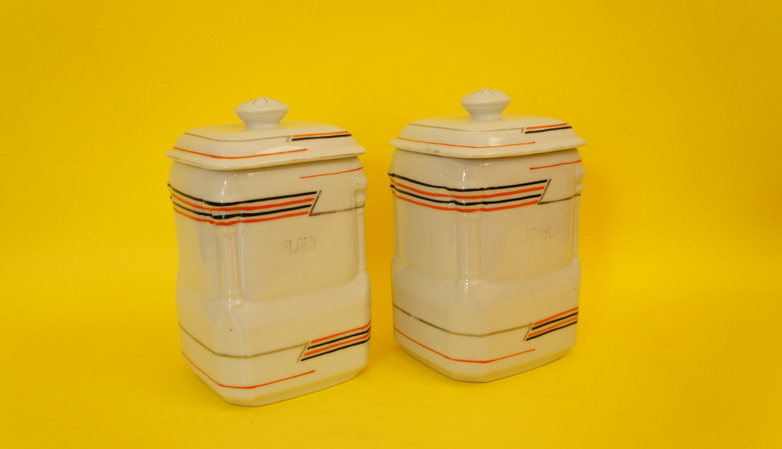 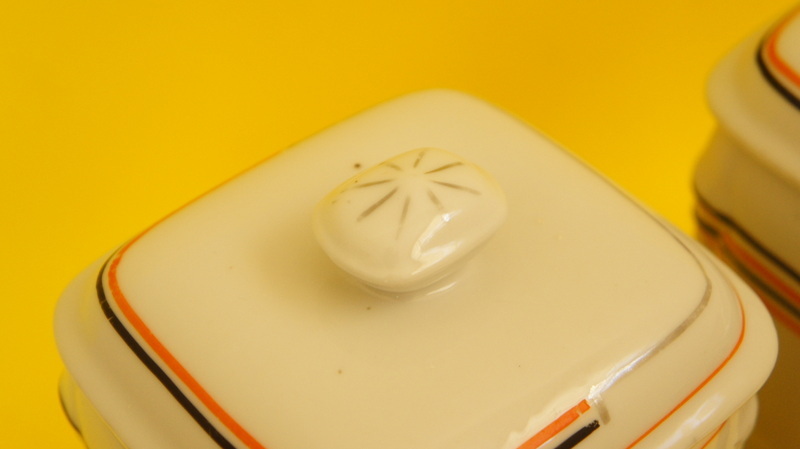 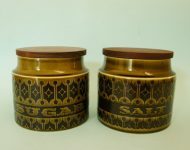 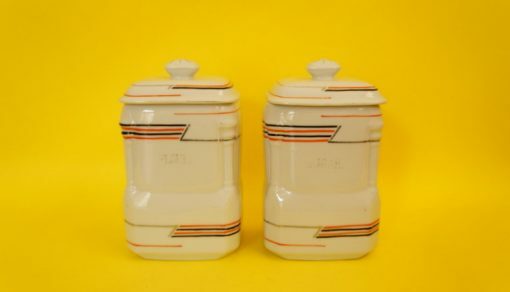 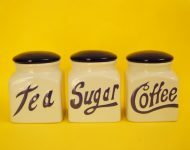 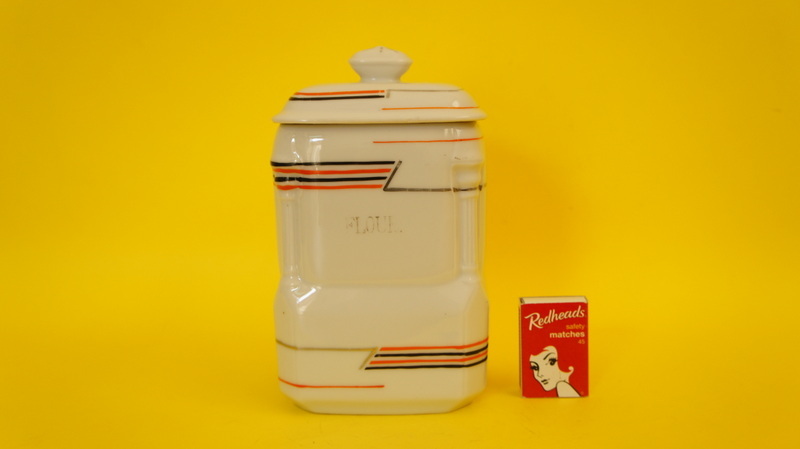 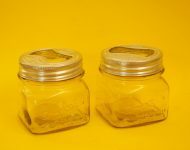 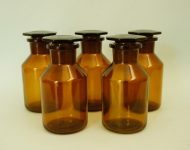 It’s such a pity that only two of these vintage ceramic kitchen canisters have survived because they really are quite a handsome pair – can you imagine how great a whole set of the jars would have looked on display? 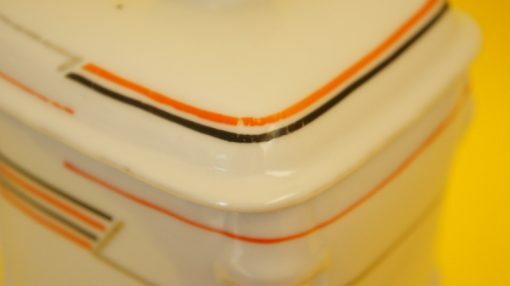 I’m a big fan of the orange and black design, which has a bit of a lightning vibe to it. 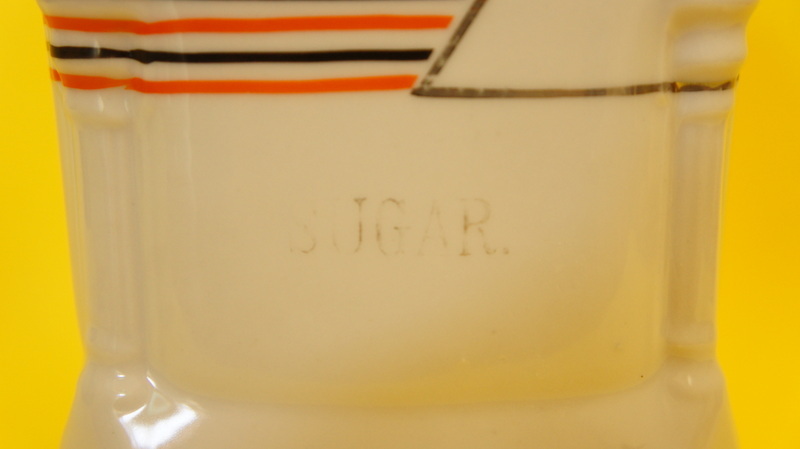 The silver detail has all but faded, although you can still faintly make out the words ‘flour’ and ‘sugar’. 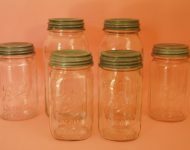 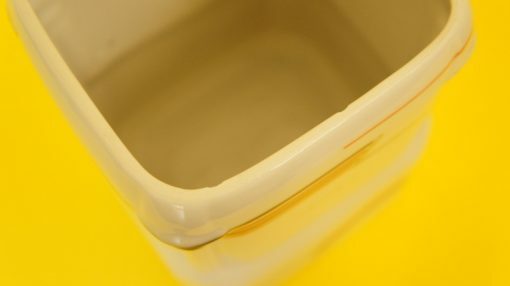 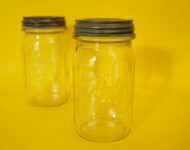 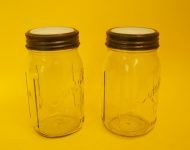 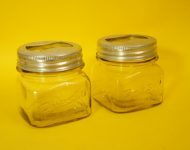 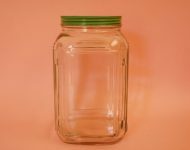 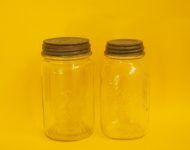 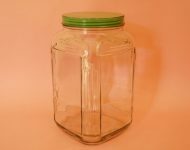 There are also some small fleabite chips along the inside rim of the jars, but going on the design I think these jars have some proper age to them, so some wear and tear isn’t unexpected.